10Tryon is the project located in front of the two Skyhouse buildings on North Tryon. 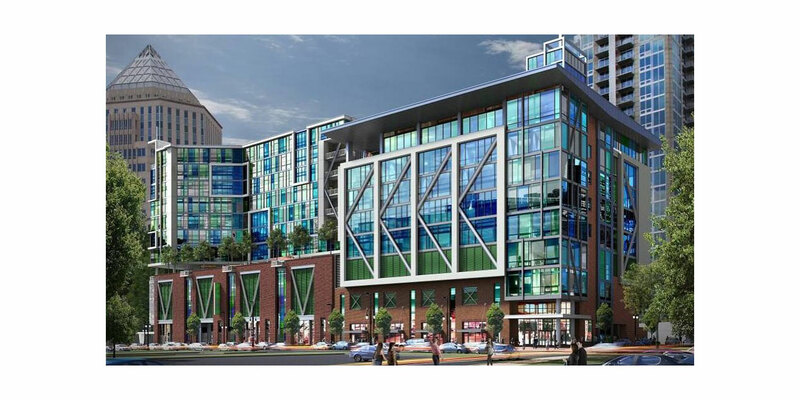 The project, as previously reported, will consist of two phases of office, retail and a Publix. The first phase will consist of nearly 90,000 square feet of of Class A office space. What I love about it is that it stays true to the North Tryon vision. It’s not gigantic, the massing aligns perfectly with the Skyhouse buildings, the architecture is unique and colorful — and most of all, it’s interesting. To further understand why, architecturally, this is something other projects should strive for, let’s take a look at a few things. First, the office lobby. So many projects waste SO much valuable space on an office lobby. I understand some tenants want this grand lobby, but frankly, it’s a waste. This project relegates the lobby to a small corner while dedicating a vast majority of the street scape to the grocery store and an additional retail space. Next, this building is anything but a big corporate office building, and that is just fine. It’s “funky” and adds a ton of texture, colors and material elements that come together to make this building truly stand out from the pack. Lastly, the ground level is incredible and inviting. It’s “small scale” and has low store frontage that brings the pedestrian in rather than push them away. Think about this block: You have a ton of residents, plus a good chunk of new contiguous blocks of office and a grocery store. This block alone is a nearly fully self-sustaining block where you can live, work and shop. When so many blocks in Uptown become “super blocks” of single use projects that essentially amount to wasted land, this project stands out as having nearly everything. There will also be a 6th floor terrace space that will be open to the public. This space will be a mix of seating, trees, planters and open space. It will be designed so that it can be a hangout space for the entire community as well as office workers. Having a Publix here will also help the area continue to develop. While the south side of town will be serviced by Whole Foods and to an extent, the existing Harris Teeter, this will service the north side of town and all three will work together to create a fully covered Uptown for grocery needs. Note: There will be about 3,000 square feet of retail left over for a cafe and whatever else works. Phase II will have over 100,000 square feet of additional office space as well as (most likely) an amazing restaurant on that 6th floor terrace, outdoor bar, patio and conference room space. The hope is that as construction gets underway there will be enough demand that Phase II will meld into Phase I and they will be built together. This restaurant space is going to be fantastic and a huge asset to the area. To address some concerns I know people will have with the project: Yes, the previously planned hotel and condos are gone, but we can’t really miss something we never had. The stars just weren’t aligning for a hotel and condos at this location. The condos would be too expensive and the market wouldn’t support it, and the hotel was a whole battle behind the scenes. The other concerns will certainly be the height. People will say it is too small, but I say it is just right. We have plenty of height (and even more on the way) on the South Tryon side of town. The North Tryon vision plan calls for things to be more human scale, to be closer to the street and sidewalks, and to have more of a balance of heights. Think Europe or DC. 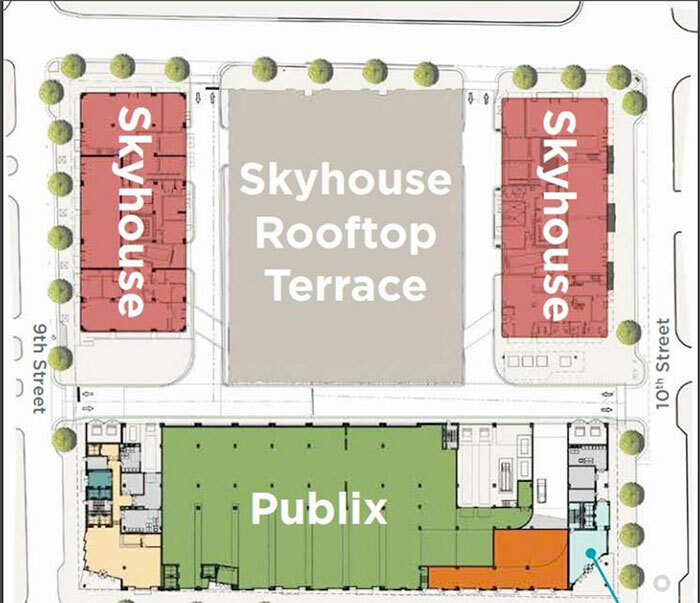 That said, Skyhouse adds some solid height and there will no doubt be a tall building or two somewhere in the North Tryon corridor, not having one here is nothing to complain about. 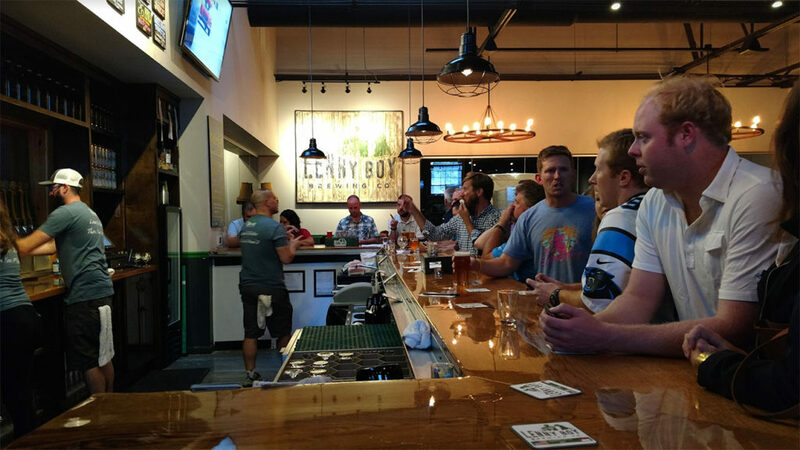 I believe there is a huge demand for this type of office space and for proof look no further than the incredibly quickly leased 1616 Center project in South End. This type of building will add “cool” and “unique” office space that is so much more than just generalized corporate office space seen in many of our towers Uptown. Currently the project is in the planning stages and the office is pre-leasing now with David Dorsch at Cushman & Wakefield is handling the leasing for the project. The plan is to break ground in the second quarter of 2017. The development entity is a partnership between Centro CityWorks headed by my personal favorite: David Furman as well as Brackett Flagship, headed by Charles Campbell. Axiom Architecture, the same firm that’s behind crowd favorites such as 1616 Center and Camden Gallery, is the architect on this project.